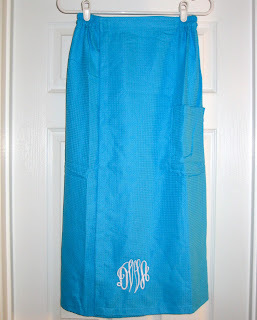 Over the summer, I was given the opportunity to review 5 products of my choice from an online monogram shop, Miss Lucy's Monograms. This post begins a series sponsored by Miss Lucy's Monograms which involves a product review and a giveaway for you! 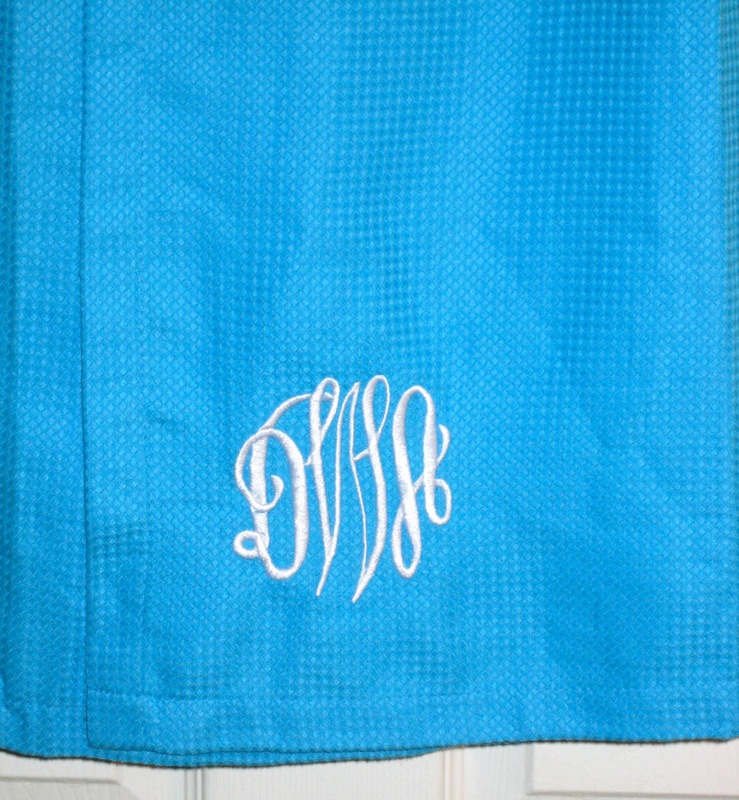 This months item is a Waffle Weave Spa Wrap - with a monogram, of course! At the end of this post you will be able to enter to win your very own Spa Wrap! Miss Lucy's Monograms is an online shop that has over 500 products that are completely customizable! Not only do you get to choose your monogram font but they also have tons of font styles to choose from that are available in many colors to make your product even more personalized. Everything needed to be accomplished in order to get you your monogrammed goodie is done in their monogram studio! 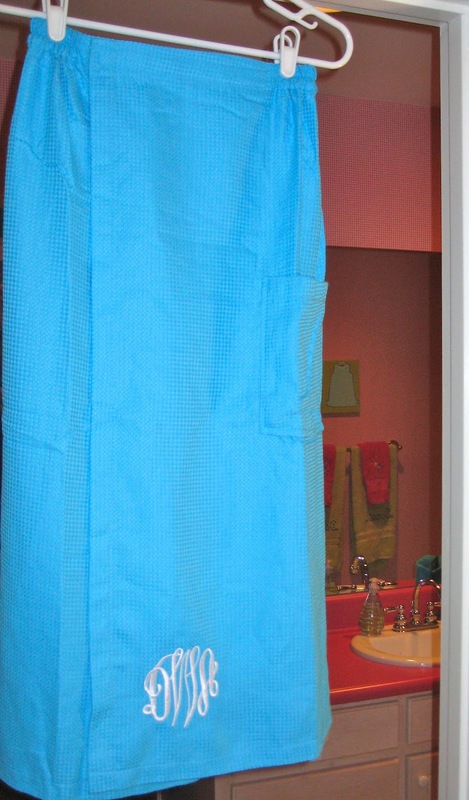 Whether in college or not, this spa wrap is a bathroom must! This summer at camp I realized just how useful this item would have been if I had had it. 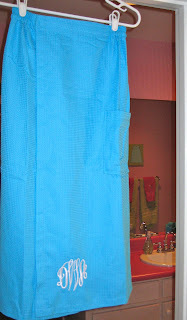 It covers you enough to feel comfortable walking from your room to the bathroom without feeling the least bit exposed! Even if you aren't in college or a camp person this spa wrap can be just as useful for you too! I don't know about y'all but I always work up a sweat while blow drying my hair and that is the last thing you want to do after just showering! I find that if I cover up in this and then blow dry my hair I do not get nearly as hot during the process! Another great thing about this product is that the elastic and velcro combination at the top allows you to have a comfortable fit, no matter your size. The Spa Wrap is made out of a waffle weave cotton and is surprisingly soft! Although this isn't going to absorb tons of water and shouldn't be used as a towel, it can definitely speed the drying process up. With a towel, your hands aren't exactly "hands free" but with a spa wrap like this you can do whatever you need to do without feeling like it is going to fall off. The best part about this particular spa wrap is the pocket! I am not sure what exactly I would use it for but pockets are always an added bonus! Now who wants to win their own? This is such a great giveaway!! 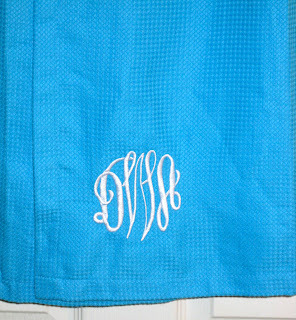 I love anything monogrammed. My favorite monogram style is the 3 initials classic. I love the circle script monogram! Love this giveaway! Circle script monogram is my fave! so adorable! these are super convenient! Love the circle script monogram! such an awesome giveaway!!! thanks for the chance to win!! i love the circle script monogram! Love the classic circle script! So cute...I could really use one! I love the sydney or the classic circle script! I like the 3 initials classic. I like the circle script and the mix up monogram styles the best! I like the classic monogram. I love a good towel wrap! The one I have now is falling apart and I'd love a new one! This is so cute! I could definitely use this in college! Love the circle script! I love the classic script! I love the classic script monogram! Classic is just classic, you never can go wrong! 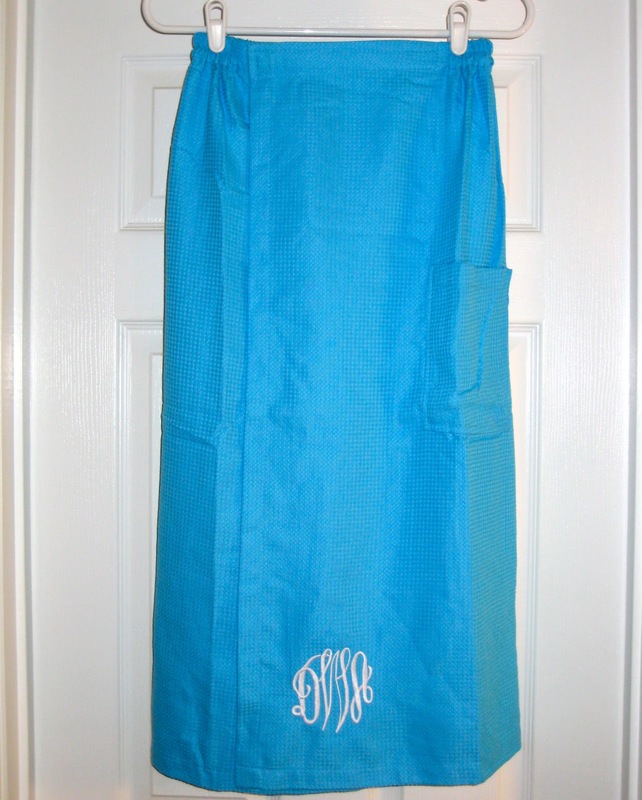 The classic monogram is my favorite! I like the classic monogram with the aristocrat font! So excited!! I looove the black quilted large duffle bag! I love the circle script!! The circle script is my fave!